Throwing a Small Little Man Shower or Birthday Party? 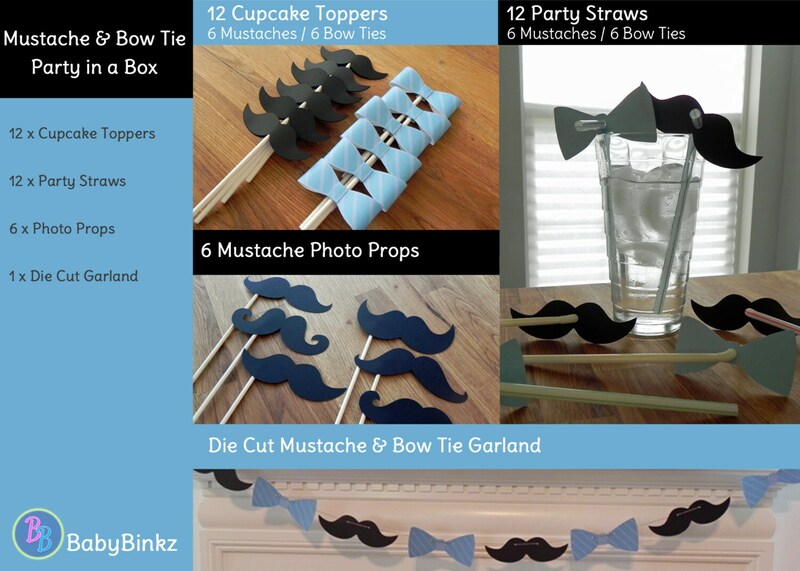 Our BabyBinkz Little Man Party in a Box is the perfect solution to all of your decorating needs! Double-sided die cut cupcake toppers constructed from two layers of heavy weight card stock. 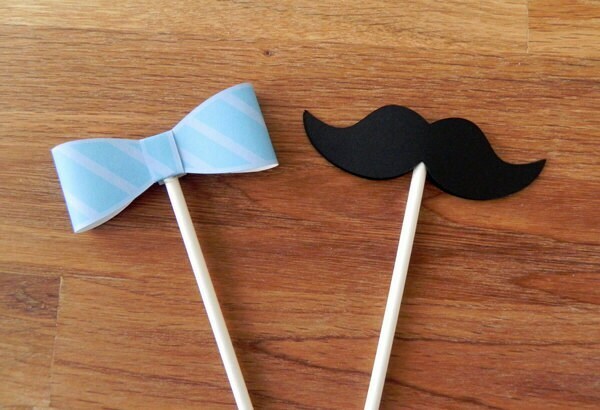 This set includes 6 3D Blue Striped Bow Ties and 6 Mustache cupcake toppers measuring 3" wide and mounted on a 4.5 inch lollipop stick to add dimension. 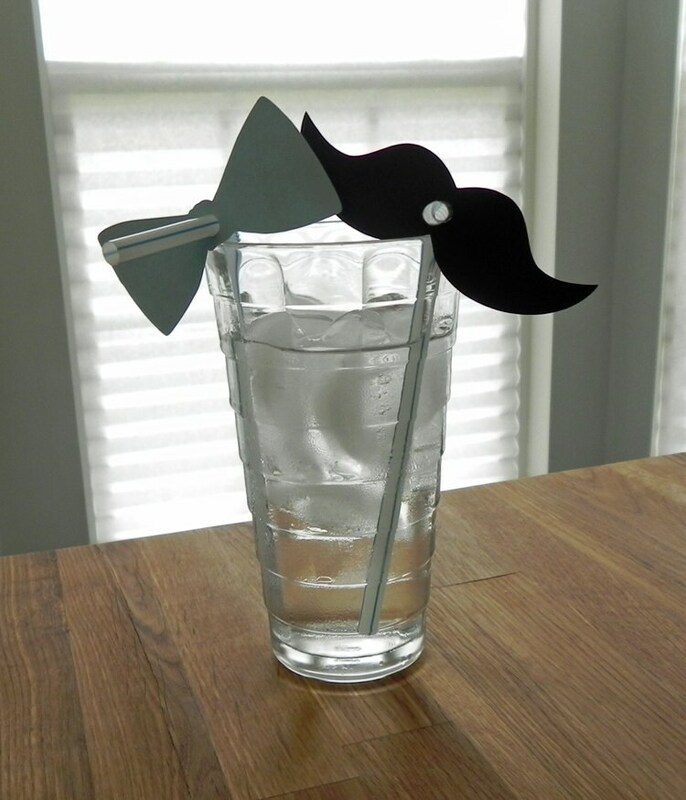 This set includes 6 Black Mustache Straws and 6 Blue Bow Tie Straws cut from 65lb weight card stock. They measure 2.5" long and 2" high with a punched hole the perfect size to slide onto the included straws. 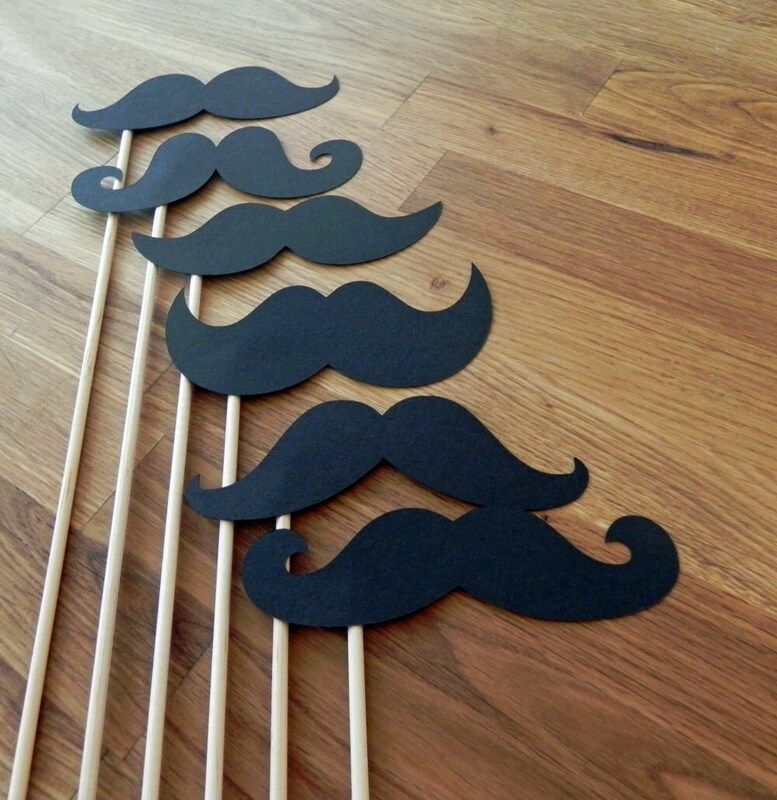 The Small Party Pack includes 1 set of our Mustache Photo Props. Photo Props are constructed with premium smooth card stock and securely mounted on a 12" wooden dowel. This set includes 6 x 4.5" Mustaches (variety). This garland is created with 4 Blue Striped Bow Ties that measure 8" Wide and 4 Black Mustaches that measure 8" wide, pre-strung on baker's twine and ready to hang!